Do you have questions about a possible Nursing Home Understaffing case? Contact us now using this confidential form. We'll help you get answers. Nursing homes always have the right number of nurses and aides to care for their residents, right? 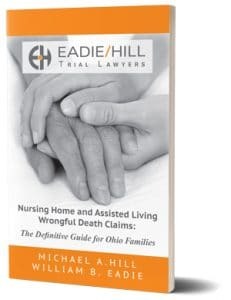 In reality, the nursing homes I see as an attorney representing families whose loved ones are hurt or killed through carelessness are almost always understaffed. Many of my clients describe the “ghost town” effect, especially at night and on weekends: empty halls and hard-to-find staff. What is Nursing Home Understaffing, Really? How Many Nurses and Aides Should a Nursing Home Have? What are “Expected Staffing Levels”? Why do Nursing Homes Routinely Under-Staff? How Well Staffed are Ohio Nursing Homes? 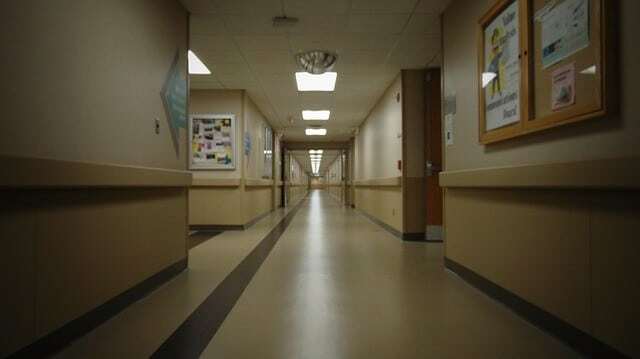 What are some of the Worst-Staffed Nursing Homes in Ohio? How do I Hire You to be my Nursing Home Understaffing Lawyer? Nursing home understaffing is when there are not enough nursing home staff to meet the specific needs of all the residents. Nursing homes provide care to residents through people (staff): nurses (registered nurses and licensed practical nurses), nursing aides (also called State Tested Nursing Assistants or STNAs in Ohio), therapists (physical, occupational, speech) and their assistants, janitorial / environmental staff, dietary / nutrition, and sometimes doctors. In my experience, critical understaffing is in the nursing staff–nurses (RNs and / or LPNs) and aides (STNAs)–because they are the ones providing direct medical care, observation, and evaluation. Without enough nursing staff, people die. Without enough physical therapists, by contrast, residents might miss a session or two. Not usually life-threatening. Nursing homes know what their resident’s individual care needs are, because they evaluate every single resident’s needs on admission, and at least every 90 days thereafter under federal regulations. States like Ohio have minimum numbers of nursing staff for the number of residents. Sounds good, right? This is really the bare minimum number of staff any nursing home has to have for the least care-intensive residents possible. If you don’t have at least this number of staff, you ought to be shut down. What Ohio’s minimum numbers misses is any relationship to the care needs of the residents in the nursing home. For example, imagine a nursing home with 99% independent seniors who need minimal direct care–maybe just help taking medications. Pretty light load for the nursing staff. Now compare that with a nursing home with the same number of residents, but in which 99% of the residents require extensive care–help sitting up in bed, two people to help them transfer from bed to wheelchair, help getting dressed eating, brushing their teeth, combing their hair, intensive medical treatments like bandage changes and complex medicine regimes, etc. an incredibly heavy load for nursing staff. Which nursing home should have more nursing staff? If all you use is the state minimum, they could both have a bare-bones staffing level. That would be insanely stupid and result in residents dying. Not to mention, even these state-minimum levels are far too low according to a 2016 report. Almost every nursing home is required by Medicare to evaluate each resident’s care needs using a tool called the MDS. This provides information on how much care a resident requires, from how independent they are taking care of daily needs like going to the bathroom and brushing their teeth, to how many medical conditions they have that require intensive care. Medicare uses this information to assign each resident a score that represents how much nursing staff time is likely required to care for them. The score is actually a set of “groups” of care level, called “Resource Utilization Groups,” or RUG scores. This makes sense: how much staff resources will you utilize as a resident? Nursing homes can use this information to forecast the right amount of each type of nursing staff–Registered Nurses, Licenses Practical Nurses, and State-Tested Nursing Assistants–for their residents’ needs. Most either never do this evaluation, or ignore it. Expected Staffing Levels is the amount of nursing minutes available per resident based on the residents’ collective care needs, according to Medicare. Medicare didn’t just put the care need evaluation forms (MDS) together, and break residents into Resource Utilization Groups. Medicare also paid for studies to figure out the right amount of nursing staff required based on a resident being in one of those groups. Take all the RUG scores together, add up the number of minutes of each type of nursing staff for each resident, and presto, you have your Expected Staffing Levels. That’s right: Medicare paid for studies so that nursing homes could immediately know the amount of nursing staff–for each type of nursing staff, down to the minute–they need to have to care for residents. So all the nursing homes staff at the Expected Staffing Level, right? Or higher? In particular for nursing homes that are for-profit companies (instead of nonprofit or religious), profit is king. And how do nursing homes (or any company) make profit? By having more income (revenue) with less cost (expenses). The number one income source for every nursing home I have ever sued has been the number of residents (and, often, they get paid more for resident who have the highest care needs, reflected by the Resource Utilization Group score). Want revenues to go up? Fill those nursing home beds with residents, the sicker and needier, the better. The number one expense for every nursing home I’ve ever sued has been nursing staff. Want expenses to go down? Hire fewer nursing staff members, pay them less, and have them work fewer hours. The result is an almost undeniable temptation to under staff: have as many residents cared for by as few nurses and aides as you can get away with. And with Ohio’s under-funded inspectors, they can get away with some pretty egregious under staffing levels. Ohio nursing homes are some of the worst-staffed nursing homes in the country, according to various reports. According to a report card published by the advocacy group Families for Better Care, Ohio has some of the worst staffing levels in the country in 2013 and 2014. 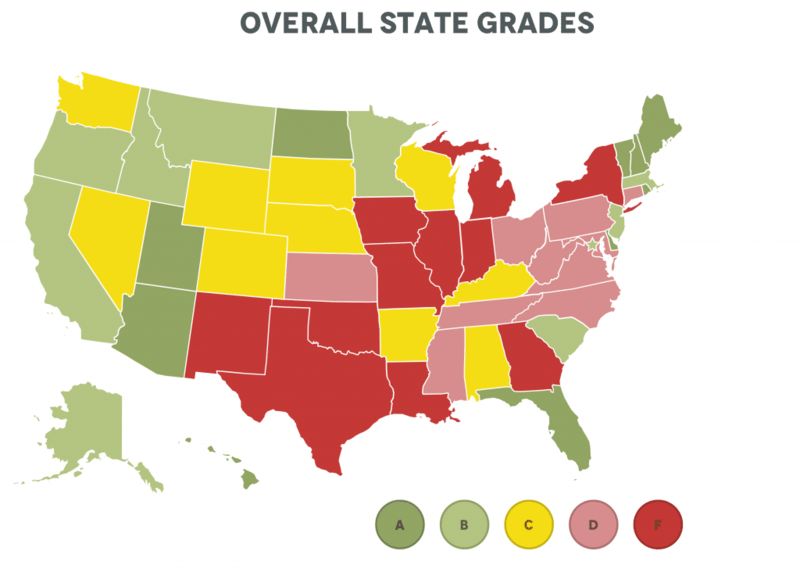 Ohio got an “F” for “Direct Care Staffing Above Average,” ranking 48th in the country. Compare that with the low number of deficiencies, and you can see there’s a gap between the nursing home performance, and inspections. Austinburg Nursing and Rehabilitation Center in Austinburg, OH, is rated 1.0 stars overall. It is a large facility with 139 beds and has for-profit, corporate ownership. Austinburg Nursing and Rehabilitation Center is not part of a continuing care retirement community. Cambridge Health and Rehabilitation Center in Cambridge, OH, is rated 1.0 stars overall. It is a large facility with 144 beds and has for-profit, corporate ownership. Cambridge Health and Rehabilitation Center is not part of a continuing care retirement community. Hanover House in Massillon, OH, is rated 1.0 stars overall. It is a large facility with 181 beds and has for-profit, corporate ownership. Hanover House is not part of a continuing care retirement community. Horizon Post Acute Care in Cincinnati, OH, is rated 1.0 stars overall. It is a large facility with 162 beds and has for-profit, individual ownership. Horizon Post Acute Care is not part of a continuing care retirement community. Lake Pointe Health Care in Lorain, OH, is rated 1.0 stars overall. It is a large facility with 158 beds and has for-profit, corporate ownership. Lake Pointe Health Care is not part of a continuing care retirement community. Logan Health Care Center in Logan, OH, is rated 1.0 stars overall. It is a large facility with 144 beds and has for-profit, corporate ownership. Logan Health Care Center is not part of a continuing care retirement community. Manor at Whitehall in Whitehall, OH, is rated 1.0 stars overall. It is a large facility with 150 beds and has for-profit, corporate ownership. Manor at Whitehall is not part of a continuing care retirement community. Manorcare Health Svcs-Belden Village in Canton, OH, is rated 1.0 stars overall. It is a large facility with 139 beds and has for-profit, corporate ownership. Manorcare Health Svcs-Belden Village is not part of a continuing care retirement community. Maria Joseph Living Care Center in Dayton, OH, is rated 1.0 stars overall. It is a very large facility with 280 beds and has for-profit, corporate ownership. Maria Joseph Living Care Center is not part of a continuing care retirement community. Marietta Center in Marietta, OH, is rated 1.0 stars overall. It is a large facility with 150 beds and has for-profit, corporate ownership. Marietta Center is not part of a continuing care retirement community. Mchs-Westerville in Westerville, OH, is rated 1.0 stars overall. It is a large facility with 174 beds and has for-profit, corporate ownership. Mchs-Westerville is not part of a continuing care retirement community. Mentor Woods Skilled Nursing and Rehabilitation in Mentor, OH, is rated 1.0 stars overall. It is a large facility with 150 beds and has for-profit, corporate ownership. Mentor Woods Skilled Nursing and Rehabilitation is not part of a continuing care retirement community. Omni Manor Nursing Home in Youngstown, OH, is rated 1.0 stars overall. It is a large facility with 200 beds and has for-profit, corporate ownership. Omni Manor Nursing Home is not part of a continuing care retirement community. Park East Care and Rehabilitation Center in Beachwood, OH, is rated 1.0 stars overall. It is a very large facility with 274 beds and has for-profit, corporate ownership. Park East Care and Rehabilitation Center is not part of a continuing care retirement community. Regency Manor Rehabilitation & Subacute Center in Columbus, OH, is rated 1.0 stars overall. It is a very large facility with 275 beds and has for-profit, corporate ownership. Regency Manor Rehabilitation & Subacute Center is not part of a continuing care retirement community. Signature Healthcare of Warren in Warren, OH, is rated 1.0 stars overall. It is a large facility with 150 beds and has for-profit, corporate ownership. Signature Healthcare of Warren is not part of a continuing care retirement community. Stone Crossing Care Center by Lamplight Communities in Canton, OH, is rated 1.0 stars overall. It is a large facility with 150 beds and has for-profit, partnership ownership. Stone Crossing Care Center by Lamplight Communities is not part of a continuing care retirement community. The Chateau at Mountain Crest Nursing & Rehabilitation Center in Cincinnati, OH, is rated 1.0 stars overall. It is a large facility with 199 beds and has for-profit, partnership ownership. The Chateau at Mountain Crest Nursing & Rehabilitation Center is not part of a continuing care retirement community. The Meadows at Osborn Park in Huron, OH, is rated 1.0 stars overall. It is a large facility with 130 beds and has county ownership. The Meadows at Osborn Park is not part of a continuing care retirement community. Tuscany Gardens in Pataskala, OH, is rated 1.0 stars overall. It is a large facility with 123 beds and has for-profit, corporate ownership. Tuscany Gardens is not part of a continuing care retirement community. Villa Angela Care Center in Columbus, OH, is rated 1.0 stars overall. It is a very large facility with 225 beds and has for-profit, corporate ownership. Villa Angela Care Center is not part of a continuing care retirement community. Vista Center at the Ridge in Mineral Ridge, OH, is rated 1.0 stars overall. It is a large facility with 168 beds and has for-profit, corporate ownership. Vista Center at the Ridge is not part of a continuing care retirement community. Walton Manor Health Care Center in Walton Hills, OH, is rated 1.0 stars overall. It is a large facility with 150 beds and has for-profit, corporate ownership. Walton Manor Health Care Center is not part of a continuing care retirement community. Westmoreland Place in Chillicothe, OH, is rated 1.0 stars overall. It is a large facility with 150 beds and has for-profit, corporate ownership. Westmoreland Place is not part of a continuing care retirement community. Winchester Place Nursing & Rehabilitation Center in Canal Winchester, OH, is rated 1.0 stars overall. It is a large facility with 181 beds and has for-profit, corporate ownership. Winchester Place Nursing & Rehabilitation Center is not part of a continuing care retirement community. To do your own research on Ohio nursing homes using US News’s site, see http://health.usnews.com/best-nursing-homes/area/oh. The article states that the lawsuit is challenging the Indiana Adult Wrongful Death Act. The complaint states that the named defendants “have engaged in a history and pattern of practice of wrongfully choosing to place corporate profits over the needs of their patients.” In support of that allegation, the complaint states that Life Care Centers of America, Inc. was the subject of a Federal False Claims Act lawsuit brought by the U.S. Justice Department that was settled for $147 Million in 2016. According to the complaint, the family of the victim plans to challenge the constitutionality of Indiana’s Adult Wrongful Death Statute. Numerous studies and interviews with researchers indicate that nursing staffs should provide an average of 4.1 hours of care for a resident each day.Ohio's nursing homes averaged 3.9 hours, the newspaper found. Dozens of facilities could not provide 3 hours of care per resident day. Russell Kennedy says his 90-year-old mother is confined to a wheelchair and can barely hear, relying on staff at the Goshen nursing home to perform simple tasks like getting out of bed and putting in her hearing aid. He says they ring the bell for help and people don't come because they just don't have the staff to handle it. By not providing enough staff for residents, the Sapphire Nursing Home is putting its residents at risks of serious injury or even death. Nursing home understaffing is when there are not enough nursing home staff to meet the specific needs of all the residents. Nursing homes provide care to residents through people (staff): nurses (registered nurses and licensed practical nurses), nursing aides (also called State Tested Nursing Assistants or STNAs in Ohio), therapists (physical, occupational, speech) and their assistants, janitorial / environmental staff, dietary / nutrition, and sometimes doctors. In my experience, critical understaffing is in the nursing staff–nurses (RNs and / or LPNs) and aides (STNAs)–because they are the ones providing direct medical care, observation, and evaluation. Without enough nursing staff, people die. According to the News12 article, a nurses aid actually told the woman and her family that they cannot take care of her. Allenbrooke Nursing and Rehabilitation Center, appeared to have been severely underfunded at the time, with a $2 million deficit on its books and a scarcity of nurses and aides. “Sometimes we’d be short of diapers, sheets, linens,” one nurse testified. peeled back the white sock that had been covering his 82-year-old mother’s right foot for a month, he discovered rotting flesh.